Reading and share top 3 famous quotes and sayings about Online Courses by famous authors and people. Browse top 3 famous quotes and sayings about Online Courses by most favorite authors. 1. 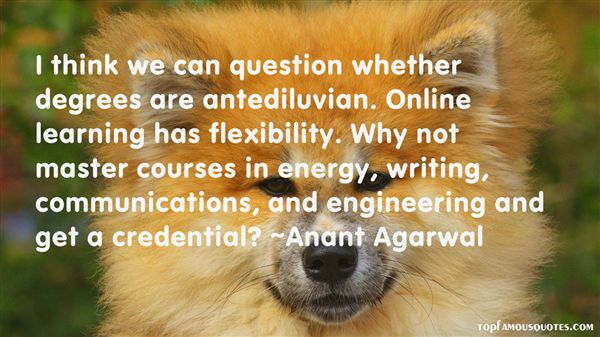 "I think we can question whether degrees are antediluvian. Online learning has flexibility. Why not master courses in energy, writing, communications, and engineering and get a credential?" 2. 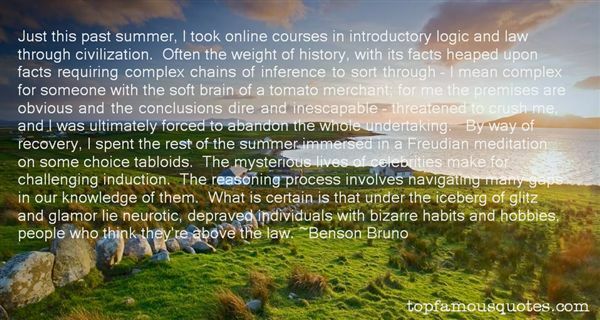 "Just this past summer, I took online courses in introductory logic and law through civilization. Often the weight of history, with its facts heaped upon facts requiring complex chains of inference to sort through – I mean complex for someone with the soft brain of a tomato merchant; for me the premises are obvious and the conclusions dire and inescapable – threatened to crush me, and I was ultimately forced to abandon the whole undertaking. By way of recovery, I spent the rest of the summer immersed in a Freudian meditation on some choice tabloids. The mysterious lives of celebrities make for challenging induction. The reasoning process involves navigating many gaps in our knowledge of them. What is certain is that under the iceberg of glitz and glamor lie neurotic, depraved individuals with bizarre habits and hobbies, people who think they're above the law." 3. "The university is in danger of losing its monopoly, and for good reason. 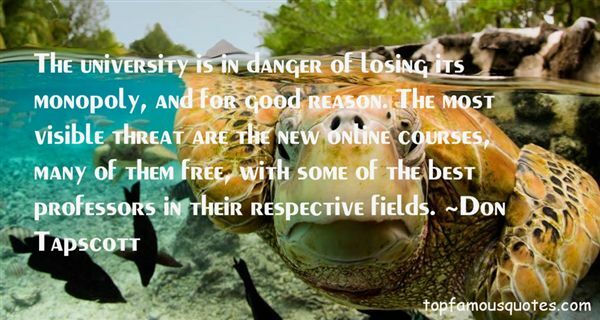 The most visible threat are the new online courses, many of them free, with some of the best professors in their respective fields." Between truth and the search for it, I choose the second."